As our parents or other loved ones get older, it’s natural that they would need our assistance from time to time. However, there are instances when they need to be looked after full-time, and we offer ourselves as up to the task. While we do this out of love, it can become a challenging and time-consuming endeavour. While focusing so much on caring duties, it is easy to forget to focus on ourselves. 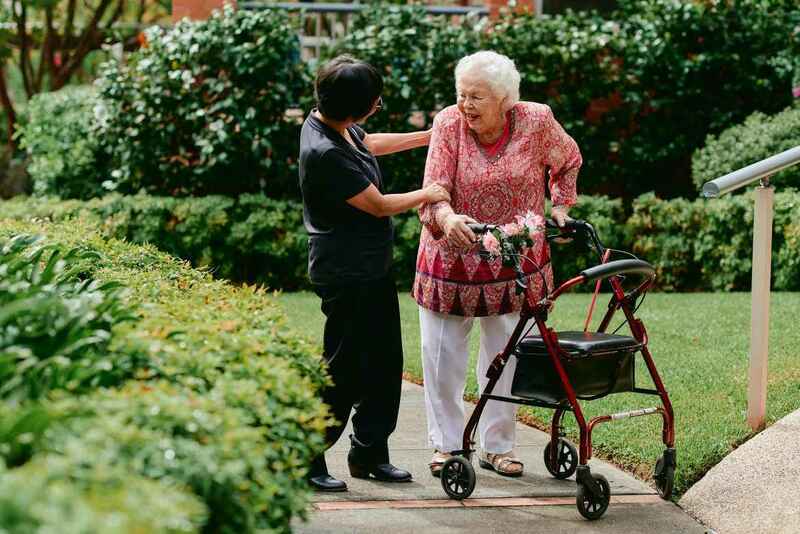 Christadelphian Aged Care provides professional respite care services to give you the breather that you need to maintain a healthy balance between caring and your personal life. Why is Respite Aged Care Important? It is vital to remember that we need to take care of ourselves first. This means taking a break from time to time to catch up on our own lives. This includes attending to other responsibilities or even going on holiday to have a break and recharge. If caring for your loved one has become your full-time job, it is essential that you are always well rested. Depending on the level of assistance you are providing, you need to make sure that you are paying attention to medication management, forms of treatment and any other activities that require your concentration and focus. You need to ensure that you can handle the responsibility with a sharp and focused mind. We can help you achieve this by providing your loved one with respite accommodation for up to 63 days in a financial year. When Else Would You Require this Type of Care? Sometimes the older people in our lives only require temporary assistance as they might be recovering from an illness or a surgery. Our respite aged care service is the ideal solution for these types of situations, as we can offer professional and reliable care administered by well-trained and friendly staff. Respite care is perfect for instances where temporary caring services or assistance is required. This is two-fold as the primary carer will be given a break and the elderly person will be given a chance to interact and socialise with other residents and our staff, the latter of which are fully capable and experienced in providing this type of care. This is also a fantastic way to experience the high level of service that we offer here at Christadelphian Aged Care. This first-hand knowledge could be the determining factor when looking for a retirement village or an aged care home. We have eight lovely Homes in Queensland, Sydney and surrounding areas just waiting to be enjoyed by our elderly residents. In addition to comfortable furnishings, there are also beautifully manicured gardens and a range of activities on offer. We have over seven decades’ worth of experience in caring for the elderly, and we know that is more than just about taking care of their physical needs. We provide a high level of emotional and spiritual support through our pastoral care approach. Even though they will only be with us for a short time, we know that our temporary residents will appreciate our compassion and desire to improve their quality of life. Looking after a loved one with dementia can be a trying and exhausting experience. While we do it with the best intentions, it is only natural to feel overwhelmed at times. Respite care is the ideal solution. Your loved one will be well looked after, and you will be able to take a well-deserved break. Approval is required for you to make use of this service by an Aged Care Assessment Team (ACAT). While the maximum period is 63 days, this can be extended pending further approval by ACAT. If you would like to find out more information regarding entry requirements for respite care for the elderly, please get in touch with us. Our helpful and professional team is on hand to answer questions about this service and any other queries you may have about Christadelphian Aged Care. Finding reliable respite care in Sydney and surrounds, as well as in Queensland, is just a phone call away.